The dumb thing is that I don’t wear nail polish all the time. I will go weeks or months with bare nails. 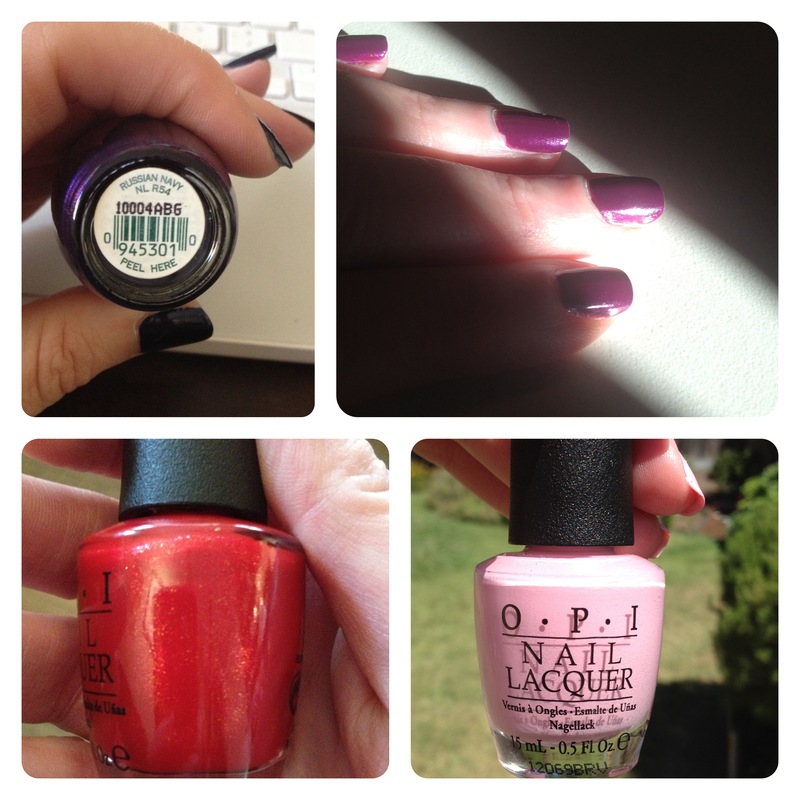 The pretty colors draw me in and the funny names that OPI creates are a definite selling point: Kiss Me on my Tulips, Princesses Rule!, and Got a Date to Knight. As much as I love polish, I am not a fan of the mani/pedi. Call me a control freak, but I’d rather do my nails myself. And fake nails? No thanks. Mine grow fast enough that they stay pretty long. Plus, fake nails will ruin your real ones. 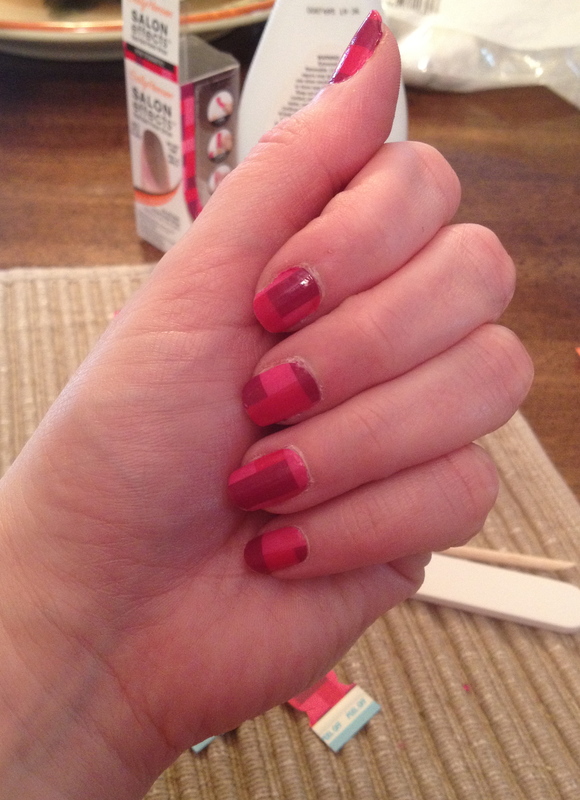 I did try those Sally Hansen nail wrap things…NOT EASY. You would think it just quickly applies to your nail like a sticker. Nope. You have to stretch, buff, and press the things into shape. Then stretch, buff and press them again! It took longer to apply those things than it does to put three coats of polish on both hands. 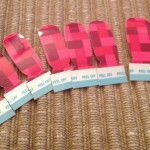 They do come in fun designs, but the effort needed to put them on my nails negated the frivolity.